Brian has more than 21 years of experience in emergency medical services spanning from rural to large city services. Brian began his career working at a small rural ambulance service as an EMT-Intermediate. Brian then worked in 911 dispatch centers for Sheriff’s offices as well as the Minneapolis/St. Paul airport. After receiving his paramedic licensure, Brian started working for an ALS/critical care EMS organization. 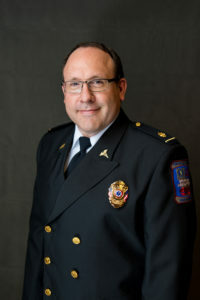 Brian came to Lakes Region EMS as the MN Operations Manager and has shown his extensive experience in many areas to help lead the organization forward. Brian Galowitz has been the Minnesota Operations Manager at Lakes Region EMS for just over one year. In this short time, Brian has utilized his previous experience both clinically and within management to help move the organization forward; leading the organization’s second largest change, a switch-over to a new dispatch center. Brian shows leadership skills everyday through his compassion for the crews, his ability to manage multiple situations calmly, and his capacity to help make transitions happen effortlessly. Brian truly has become an integral part of our organization.